Our security screens are so strong, we guarantee no one can break in. Recommended by law enforcement. Perfect for home and office. America’s choice for security screens and security doors. 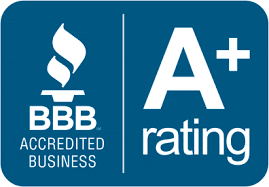 53 years in business and an A+ rating with the BBB. Keeps intruders out of your home. Sleep in peace knowing you and your family are safe. Allows for easy escape in the event of an emergency with our special ADA compliant latch. Custom built for your home with the highest levels of craftsmanship. Beautiful and effective. "The burglars took one look at our security screens and moved on!" That means we do it right from start to finish. No cutting corners. For example, when fastening our screens to your windows and doors, we drill screws every 6”-8” for extra security. AND we use 3 different types of screw heads to make it even more difficult for a burglar to breach a screen. This meticulous approach takes more time, requires more labor and costs us more money, but the process boosts the overall security 10x. Many companies will put one screw in each corner and call it a day. We get the job done well come hell or high water. Period. That means we do whatever it takes to make things right. Installation day seldom goes without a hitch. There’s always some issue that arises. Our job is adapt and overcome. No blaming, no excuses, no up charges. Our favorite motto is: We can’t always guarantee success but we should always strive to be worthy of it. Our product is superior. TAPCO security screens are so robust they are rated for hurricane category 4 projectiles (156 mph!) . Our egress latch exceeds the American Disabilities Act and can be easily operated by children and the elderly. Inside the frames of each window screen, we’ve added an additional steel bar to strengthen the overall unit. It adds more weight to the frame - making it more expensive to ship - and it costs us more money in materials. It’s the right thing to do. Many companies have removed that bar to reduce cost. We didn’t. Because if it ain’t right, it ain’t right. If you already have measurements, please enter them below. preferred by law enforcement & Military. We are the exclusive dealer in Las Vegas, Phoenix and Tucson for TAPCO security screens. TAPCO is the industry leader in security screens for windows and doors. With over 50 years experience in screen manufacturing and an A+ rating with the BBB over half a century, no one else comes close in terms of quality. Our security screens are rated for Hurricane Category 4 Severe Weather. the Do not settle for less. what if you doN’t TAKE Action today? Burglaries and home invasions in Nevada and Arizona are on the rise. Security alarms, big dogs and powerful guns help - as well as the watchful eyes of the neighborhood - but you don’t want your dog to be injured by an intruder. And the last thing you want is to have to kill someone in your home. Great security begins OUTSIDE the home. The key is to PREVENT intrusions altogether, never giving criminals a chance to get in. Our security screens and security doors get the job done. Guaranteed!